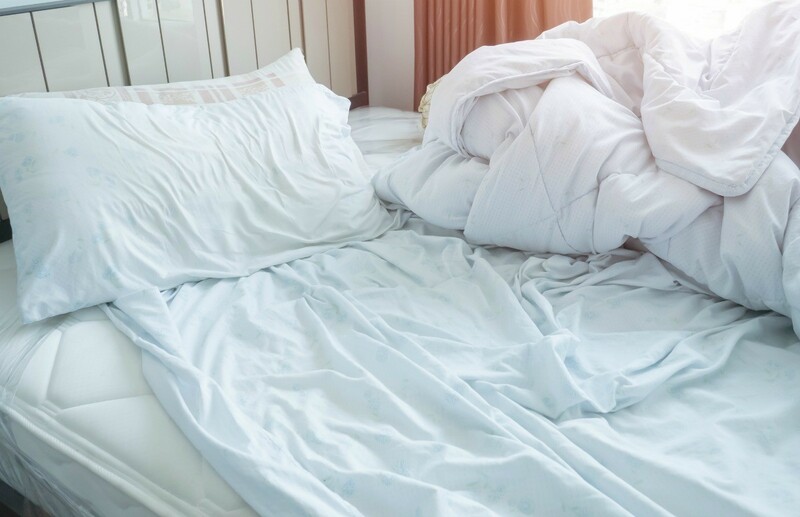 As the pillow top mattress have become more popular, it may be difficult to keep your older linens in place. This is a guide about keeping sheets on a mattress. Question: How Can I Keep Sheets on the Mattress? I have a question on what to do with the twin size bed sheet sets. I have several sets that do not fit on the new mattresses. The mattresses are thicker and I have used the clips you use to keep the sheets from slipping off. The corners do not fit over the new mattresses, they slip off at night when you toss over. The sheets are for a smaller thickness of mattress. Any ideas on how to keep them on? Thanks for your ideas. Narrow elastic in packs at Walmart craft department in 5 yards length for 99 cents per package. Measure the width of your mattress, cut 2 pieces of elastic that long and pin to each side with safety pins about 1/4 down on each end side to side by running it under your mattress then pinning to your sheets sides. can even leave on while washing your sheets. works great. Archive: How can I keep sheets on the mattress? How can I keep sheets on the mattress? I have tried everything imaginable. I was thinking of using diaper pins on the underside if I cannot figure something else out. How can I keep sheets on the mattress? I tried using the elastic thingies, but they didn't work. I realized I'd removed my mattress pad to replace it but kept forgetting to do so. Just as soon as the mattress pad was on the sheets didn't move. Hope it works for you Brenda! Hi Brenda ~South Fayetteville, here~ ok neighbor, first of all, a lot of the mattress are very deep in height now. So perhaps you have little older sheets that do not have the deep pockets. Also, do you have a mattress pad on your bed as well? I believe that may help you as well.